Payments, including extra attributions missed over the GM week. 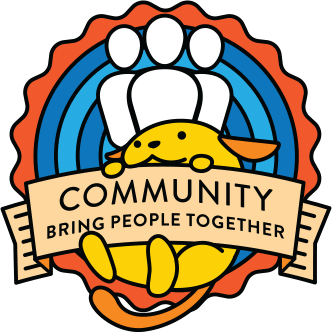 WordCamp Pittsburgh 2017 mentorship – event recap. She came down off the high and all of the stress of the event melted away by the end of the afterparty. Feedback was good in person yay! Nearly 50% female speakers (by accident). Discussed how to bring more diversity into the organizing team and the speaker roster. Several people learned about the WordCamp from the dashboard widget!!! WordCamp Austin 2017 mentor – 4 big issues — 1- ticket sales (they’ve only sold 50 tickets and they’re a month out) 2- They have a budget shortfall and it looks like they’re be about 6k under their fundraising goal 3- Afterparty still in flux 4- Team cohesion. Talked about getting speakers, sponsors, and volunteers to promote that they’ll be there and share the ticket link. While they have a 6k fundraising shortfall they should still be able to break even on spending vs income. Asked him to reach out if that changes. Worst case scenario for the after party they can all go meet in a pub and pay for their own drinks. Talk to the team about staying on focus with their own work and making it to the finish line in less than a month! WordCamp Detroit where are we at chat – First time around he thinks he filled out the application wrong thinking he was listing meetup organizers. Filled out the application again with more clarity and full organizing team listed. Strongly believe in keeping the meetup strong and continuing to build it up. 200 attendees max. The organizing team agrees that March is good as they’re just trying attract folks in the area. They have a few options in mind for the event. reviewed WCUS after party catering contract – question about attendee numbers and cost. It’s over our original anticipated spend. Send back for more details and cost reduction. WC Utrecht – all going as planned, one sponsor bailed out so they are looking for a new one (not a big deal afaik, but getting one sponsor on board could be nice) – if you know someone get in touch with them. WC Milano – everything going smooth. They had some issues but are resolved (afterparty venue etc.). Speakers are contacted, venue locations (speakers dinner, after party) are selected. They are searching a way to have subtitles, in real time of all the talks (and translated to Italian for English talks). Volunteers are selected and the team is working on SWAG. WC Rome – the only issue is about how to organize a Contributor day, as the venue might not be available, but they have some extra sponsorships that can cover the difference. They are currently in search of speakers (mostly) as other things are according to their plans. They might get some extra money and they want to invest that into making food better. I advised to plan that in the budget. WC Bari and WC Kathmandu – they are just starting so nothing to do there. I’ve made an introduction and asked them to get in touch in case of any questions. I’ll check in in a week or two. WC Kathmandu orgs are quite experiences, and WC Bari lead org is also so I think there won’t be any major issues there. A lot o work on HS triage and tickets, busy WC season is here! WCUdaipur team is doing well. They have announced the sponsor call. Their main focus now is redesigning the WordCamp site.